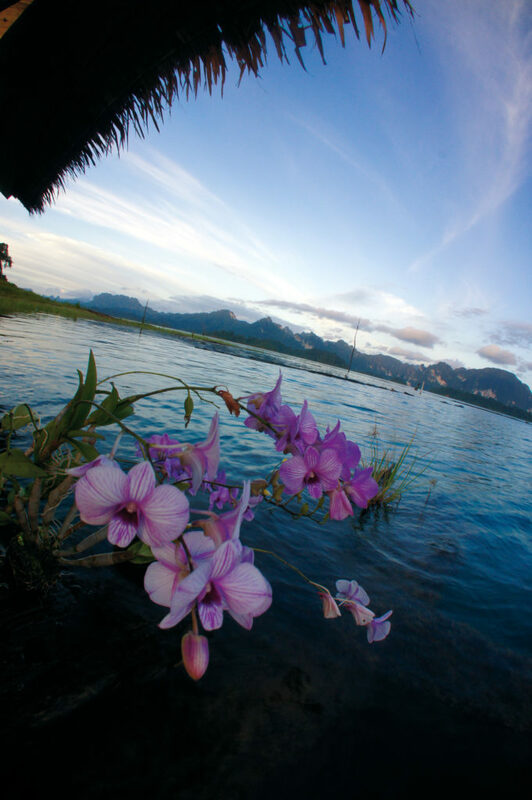 This Khao Sok Jungle and Lake Exploration tour is specially designed for the nature-lover and those looking for the best adventures. Green Andaman Travel offers this combined adventure tour. It includes all the best activities of our Khao Sok Jungle Expedition and the Lake Expedition trips. Guests stay overnight at both the Tree House and Floating House. This means that they get to experience the atmosphere of the jungle during the day and at night, in the contrasting settings of tropical rainforest and the calm still nature infused lake. The first day is spent trekking on foot and with an elephant. Explore what the land has to offer in Khao Sok National Park and relax in the evening at the tree house accommodation. The second day of the Khao Sok Jungle and Lake Exploration tour is water based. The morning is spent rafting down the Sok River and the is explored in the afternoon. The third day is spent with more trekking and an expedition into a cave on the lake.